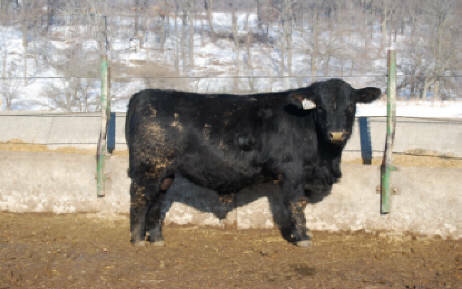 Welcome to your source for high performance Angus and Angus cross bulls. We've chose moderately framed, optimum EPD herd sires to produce some of the best commercial bulls in the state of Illinois. The work we've already accomplished can help your herd today! Unsicker Farm's original herd was created in 1988. By adopting a rigid herd health program, sound management, and using the best genetics available, our herd contains highly productive females. Our herd not only include Angus females. We have used the best genetics in the Gelbvieh and Simmental breeds. This increases our weaning weights and improves the maternal ability of our females. We sell a uniform group of calves each year. Let our experience and herd work for you!